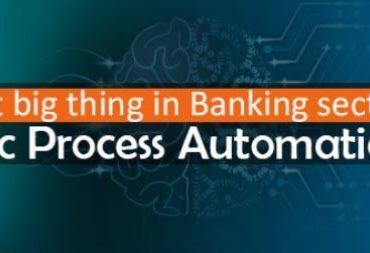 RPA-(Robotic Process Automation) is used across the world in several banks to minimize the errors and human effort by lowering the mundane and tiring works of backend office works with voluminous data. 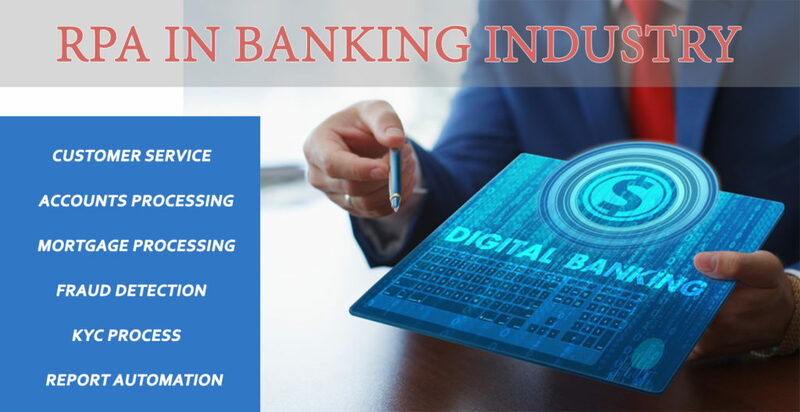 Banking automation through RPA technology has benefitted many processes within a bank which technically allows people to concentrate on many important tasks like growing business by focusing on engaging with the clients. This is because the time taken for a work to complete has been decreased to minutes from days and hours. This leads to a reduction in the cost of processing from 30% to 70%. Human intervention minimized by virtual workplace in decision making and in the execution of tasks. Since RPA is introduced to the financial world which helped banks a lot and dramatically improved operational efficiency. RPA has been a massive head on to accelerate the speed of work, manual workforce on heavy processes and even adherence to working procedures in repetitive processes mostly related to the back office works and paper works. RPA has bought a great effect and time-saving practice in the financial world. Fraud detection was one of the main purposes for RPA technology. which come into banking as it helps in identifying potential frauds and flag them to the concerned department. 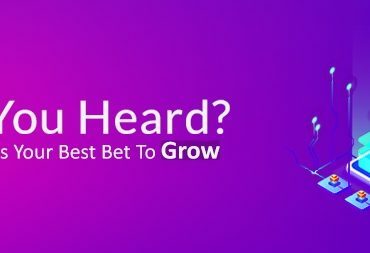 KYC process is now the most important aspect of banking. This technology helps to study and speculate the customer data about their screening and validation. General ledger also works through this technology to get the error-free data, for collecting information from different systems validating and updating in the system. This technology helps banks in preparing reports with accurate data which is known as report automation in technical terms. Account closure process uses this technology to send automated reminders to the customers asking them to furnish the required proofs. Thus, there are many advantages of RPA which banks consider using it for all the technical and functional areas. We at Tech Tammina are competent in providing RPA Services Provider and are partnered with Automation Anywhere platform and also we deliver services using various technologies like UI Path, Blue Prism to offer extensive flexibilities in every portion of robotic processes automation in the leading digitalized market.